Wouldn’t it be nice to not have to worry about losing your charging cables? 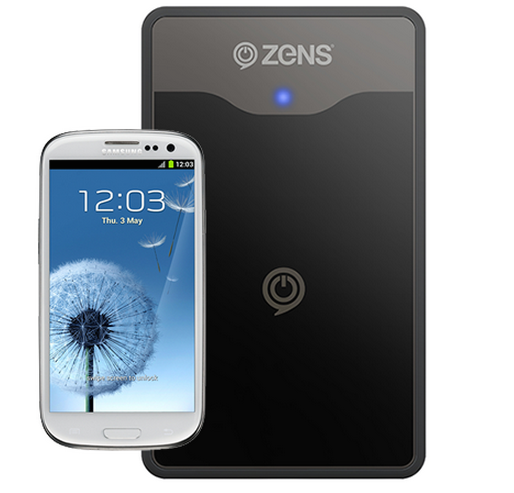 That’s the future ZENS hopes to create with the introduction of their wireless charging kit for the Samsung Galaxy SIII. With this kit, you receive a new backplate for your SGSIII which will enable partnering with the dock which goes right on your desk or wherever else you want to put it. No special batteries needed or added bulk to the device to make it work. It’s not available quite yet, but ZENS says market availability should begin in September. Price is expected to be about $80. Sound like a good deal?